What To Look For In A Car Accident Lawyer? When you’ve been injured in a car accident, you find yourself overwhelmed by the stress of the situation and all that comes along with recovery. Between doctor visits and car repairs, trying to find a good lawyer can seem like an impossible task. If you’re like most people, you don’t even know where to start! When looking for a car accident attorney in Miami, you should start by gathering the names of law firms within the area. You should also set up a meeting or “initial consultation” with each car accident lawyer in Miami that you’re considering. During the meeting, be sure to take notes about each of the attorneys’ abilities, cost, and legal strategy. After considering all of your options, choose the attorney that seems the most competent and able to handle your case. Unsure of what you should even ask a Florida car accident lawyer when you go in for your consultation? We’ve put together a list of questions you should ask before choosing the perfect attorney. Find Out About Their Background. -How long have you been practicing law? -Do you specialize in personal injury/car accident cases? -What other types of legal work do you do? -How many car crash victims do you represent in a typical year? -Of the car crash cases you take, how many settle and how many go to court? -Does my case remind you of any that you’ve handled in the past? -What do you honestly think of my case? -What kind of compensation can I hope to receive? -What do you see working for and against my case? -Will we need to go to trial? -How long will this case take before it is completed? -What is your approach to taking on a new case? 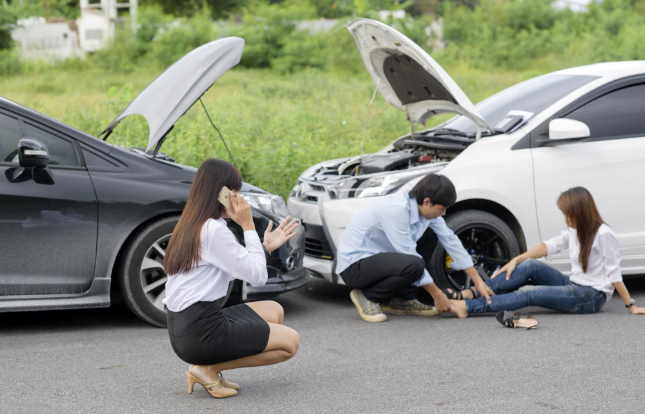 -How do you deal with car accident cases? -Will I make the decisions about my case or will you lead me? -Will you or another lawyer be in charge of my case? -Will I talk to you personally about my case or will it be an associate? -Can I receive progress reports about my case? -How much contact can I expect to receive during this process? -Do you charge by the hour or a contingency fee? -Do I have to pay you if I lose my case? -Is there a retainer fee? -What is your estimate of my entire case? After you’ve talked to the potential attorneys, consider their answers and which lawyer best meets your specific needs. When you make a decision, it’s time to settle for that one law firm and start moving forward with your case. Protecting your family. Panter Law will take care of your cases, you just take care of your family. Contact us!